Currently signed to World Wrestling Entertainment (WWE), Rowdy Roddy Piper is a retired professional wrestler and actor with an estimated net worth of $4 million as of 2012. 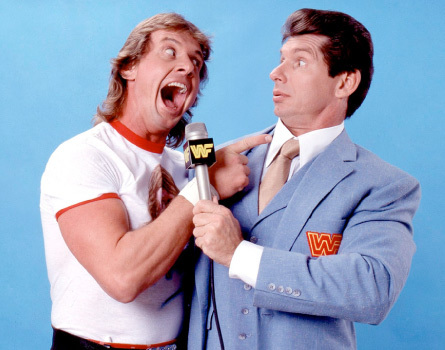 Though he has headlined a couple of major pay per view events, Rowdy Roddy Piper has never won any championship title throughout his entire wrestling career. Prior to his professional wrestling career which started in 1968, Rowdy Roddy Piper was an amateur wrestler, boxer and a judo black belt. He has worked under several wrestling promotions which include the American Wrestling Association, National Wrestling Alliance, World Wrestling Federation, and World Championship Wrestling before he finally debuted into World Wrestling Entertainment. It was in 2005 when Rowdy Roddy Piper was elected into WWE Hall of Fame. This Canadian wrestling superstar was born on April 17, 1954 in Saskatoon, Saskatchewan, Canada. Currently, Rowdy Roddy Piper lives with his wife Kitty in Hillsboro, Oregon. The couple has four children together named Anastacia Shea, Falcon Danika, Colton Baird and Ariel Teal.